Results released by the Independent National Electoral Commission (INEC) yesterday showed that the PDP, which won the governorship in the state, also won 13 out the 27 assembly seats. According to the statement by the Head, Voter Education of INEC in the state, Sunday Adedoyin, trailing behind was Action Alliance (AA) with eight seats, while the All Progressives Grand Alliance (APGA) got six. The All Progressives Congress (APC), which was in the majority in 2015, failed to win any seat in the house. Meanwhile, no fewer than 59 political parties in Imo have expressed satisfaction with the outcome of the governorship election, which produced Emeka Ihedioha of the PDP as the governor-elect. The parties under the aegis of the Inter-party Advisory Committee (IPAC), the umbrella body of registered political parties in Nigeria, disclosed this in a press conference in Owerri yesterday. IPAC chairman in the state, Duru Bennett; Peoples Redemption Party (PRP) chairman, Peter Okafor, and others described the election as credible, and Ihedioha’s victory as deserved. They berated some of their members planning to challenge the election in the courts, stressing that efforts should rather be made to support the incoming government to succeed. “We call on every Imolite and Nigerian in general to disregard the release issued by some of our colleagues against the Imo guber election. “On the contrary, we are all delighted with the outcome and are solidly behind the governor-elect, Emeka Ihedioha. We shall stand behind him to succeed,” they stated. 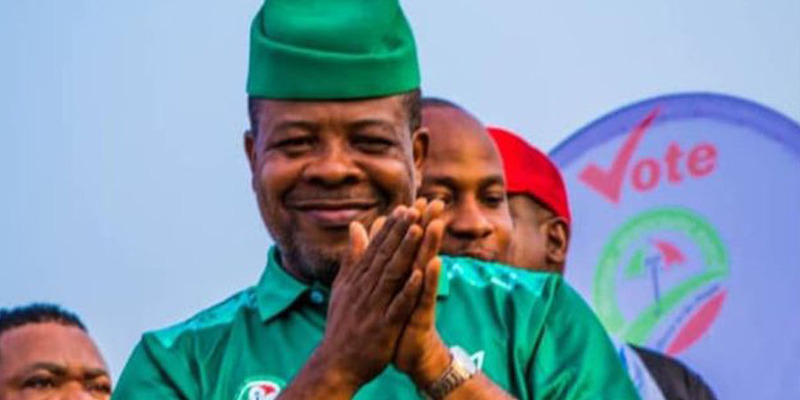 Also, over 20 governorship candidates in the state have accepted defeated and pledged their collective support for Ihedioha. Speaking on their behalf, in a press briefing in Owerri on Saturday, Excel Nwaneri-Ochiama of the Fresh Democratic Party (FDP) said they were expecting the governor-elect to focus on revamping the economy of the state as well as prioritise human capacity building once he assumes office. He said: “Ordinarily, we will say we are heading for the courts. But as patriotic citizens, we all saw the will of our people expressed by way of vote for Ihedioha and we decided to accept our fate.